Here you will find some superb packs all priced at £400+, Delivery is free of charge on all orders here subject to our delivery term. 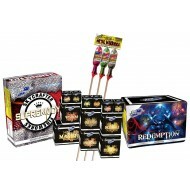 The packs here have been created for the ultimate firework parties. Perfect for pubs and clubs looking to host their own events. 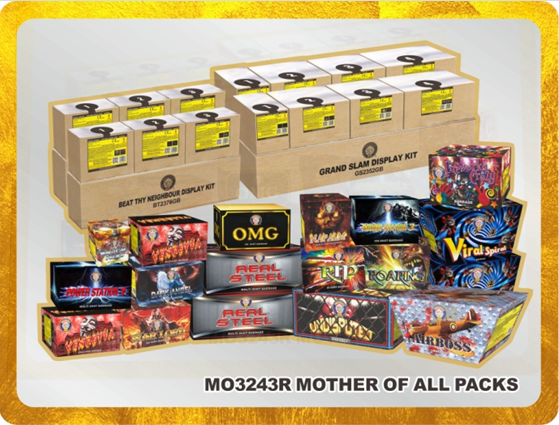 THIS HAS TO BE THE LOUDEST FIREWORK DISPLAY KIT AVAILABLE ON THE MARKET. This 1.3G is for those looking for loud fireworks ! 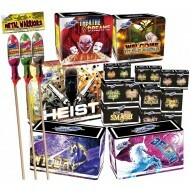 The fireworks should be used in large spaces as this set is SO POWERFUL! We called it MAX POWER fore a reason.